2 Million Clickthroughs for Eventdomain Clients!!!! 2 Million Clickthroughs for Eventdomain!!!!!!! has delivered 2 Million web clicks to client companies. This is solid proof that what we do works, that directories work, and that major help is available for decent, hard working businesses that dont have large SEO budgets or advertising cash to stand out on the major search engines. Eventdomain’s aim is to change the way advertising is done on the web, to reduce costs and speed up web searching. So it’s full steam ahead for Eventdomain. Eventdomain reaches another milestone – three years ago we began recording various stats about visitor habits on eventdomain, and after a long period of data collection, found that ED has delivered 2 million web clicks to client companies. This is solid proof that what we do works, that directories work and that major help is available for decent hardworking businesses that dont have large SEO budgets or the cash to stand out on the major search engines like Google. Eventdomain’s aim is to change the way advertising is done, reduce costs and speed up web searching. It’s not everyday a website makes the final 13 in a major awards category – but Eventdomain did! 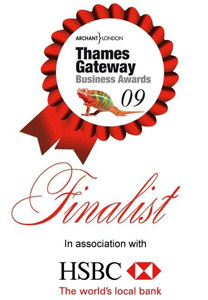 Eventdomain is the UK’s No1 website for Event planners, and attended a local event back in June 09, but ended up a Finalist for Innovation at London’s Thames Gateway Business Awards in Nov 09. The awards are for the best businesses at Regional level from Kent, Essex and London, and are judged by major organisations like the Chartered Institute of Marketing, University of East London and Canary Wharf Group. So the businesses entered aren’t taken lightly and are no mugs…… and Eventdomain.co.uk finally gets the recognition and respect it rightly deserves. Eventdomain is a search engine that helps people find difficult to source Event suppliers like venues that aren’t always booked up or the wizard DJ everyone wants. So looks like the number 13 wasn’t so unlucky for us! Eventdomain is undergoing some major changes, and to mark this, we are giving all clients the ability to upload their business logo. So, login and upload today – for Free! Remember that Eventdomain is THE website for event planning, so use us today. The trouble with websites is they have this air of ‘facelessness’ about them, you know the lack of human presence – so Eventdomain now posts on Youtube, not only to inform, but to show a human face behind our story. Our purpose is to ensure that event planning isn’t the nightmare it can be, hence our search engine that makes it easier for event planners. Eventdomain is proud to be accepted by the Association for Conferences and Events. The site is a search engine which features more than 450 categories of Event supplier from hotels, accommodation, catering, marquees to gifts and security services etc etc. You are currently browsing the Uks No1 Contacts book for Event Organisers blog archives for December, 2009. Copyright © 2009 Uks No1 Contacts book for Event Organisers. All Rights Reserved.